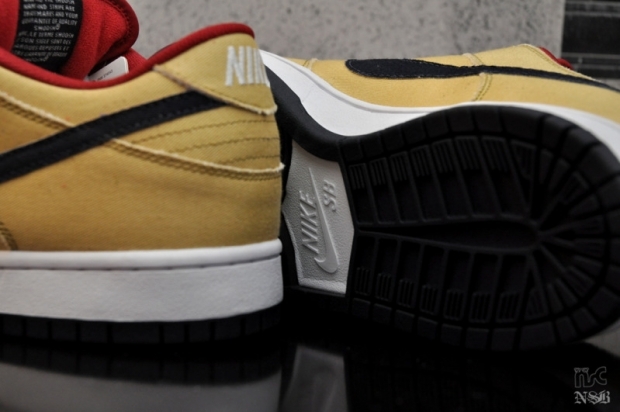 Another September release from Nike Skateboarding has surfaced on the web. 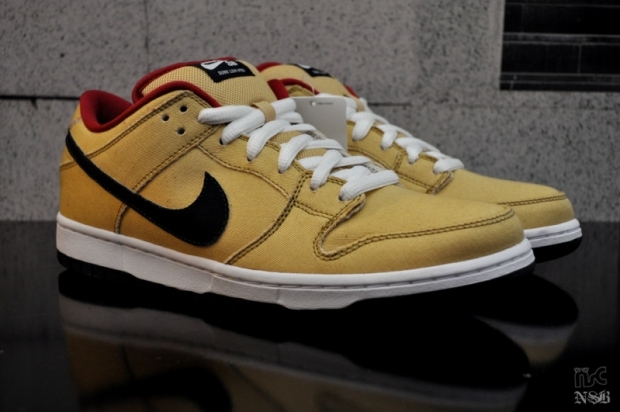 With everyone already looking forward to September for the release of the "Plum" SB Dunk High, Nike SB will also release an SB Dunk Low that's also just as worthy of a look. 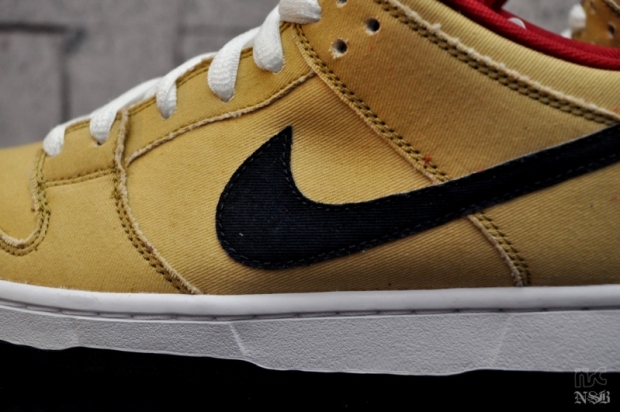 They earn our praise with a canvas upper covered in Gold Dust, along with a Marine Swoosh that's also done-up in canvas. 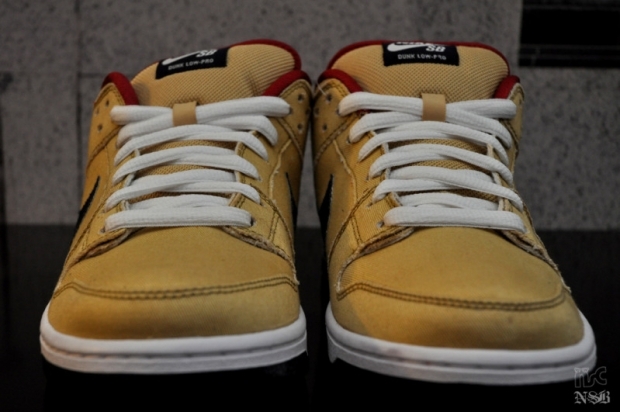 Red works the liner, while white takes care of the laces and midsole below. 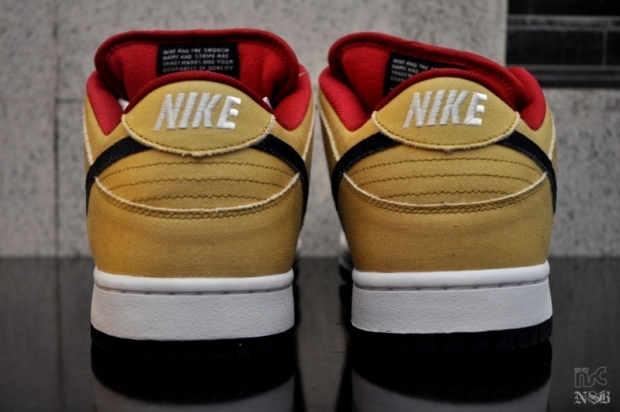 The "Gold Dust" Nike SB Dunk Low is set to release this September at select Nike SB retailers.